Your wedding henna lives on forever in your photos, make sure you have the best artist to make you your most beautiful! 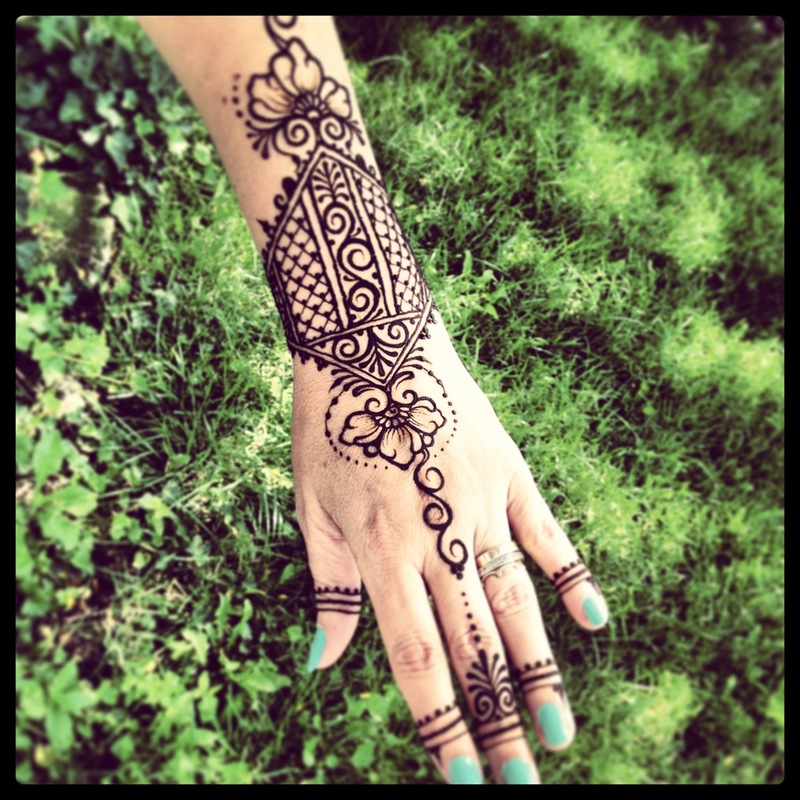 We have been providing quality henna since 2000 and are familiar with many different styles and traditions. Our professionalism can put you at ease so you can enjoy your day! When to get your henna: For your henna to look it’s best for the wedding you should have it done the day before the henna party. This also frees the bride to visit, dance, and eat at the mehndi party! What the artist needs: It is important that the bride be relaxed and uninterrupted. The artist needs a minimum of distractions, away from loud music, and requires good, bright lighting, water to drink, a small area of table space, and seating for both the artist and the bride. Choose your mehndi by the amount of coverage and to fit your budget. All Packages include both hands and feet. They are priced by the amount of coverage and the intensity of the designs. We bring our own paste, homemade with 100% pure natural Henna for your safety and for the most beautiful results! Package pricing is just for the bridal mehndi, henna for friends, family, and guests is billed at an hourly rate in addition to the bridal package. A nonrefundable booking fee is required to hold your date(s). The booking fee amount will go towards your total due. This includes fairly full palms with designs on all fingers, a mehndi strip up the tops of the hands and just beyond the wrists, and a mehndi strip up the feet and ankles in contemporary or traditional henna designs. This selection is delicate, open, and airy. Exact prices will depend on the intricacy of the design. Expect this package to take 3 to 4 hours. This includes full palms, tops of the hands, and designs extending halfway up the forearms, as well as partial coverage on the feet and strips up beyond the ankles in contemporary or traditional henna designs. This selection is intricate and full. Exact prices can vary dependent on the intricacy of the design requested. Expect this package to take 4 to 5 hours. 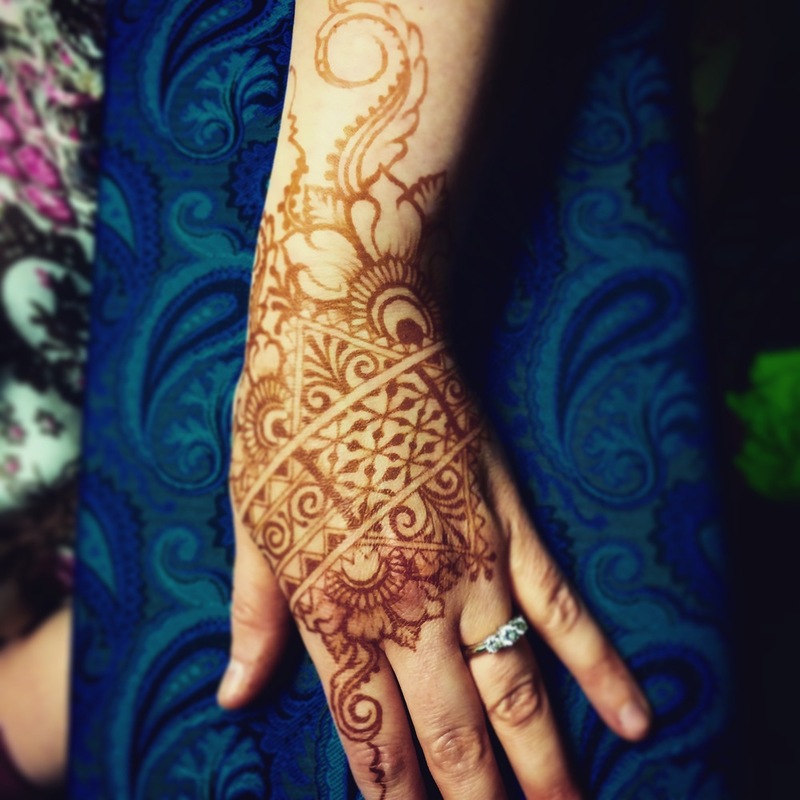 This includes full hands, and up forearms almost to the elbows, as well as full feet and up the front of the calves in contemporary or traditional henna designs. This selection is the most dense and covers the most area, mehndi fit for a princess. Prices vary depending on addition of figures or other specifics in the design. Expect this option to take 6 to 8 hours. Travel Fees: Any location beyond 20 miles will accrue a travel fee of roundtrip mileage at $0.60 per mile. Jobs that are far from home and are multiple hours may require a hotel stipend. Each artist can do a simple strip from wrist to fingertip on one side of one hand in approximately 3-5 minutes, so if the guests are organized we can get through about 12 or so per artist per hour. We will offer only 2 or 3 options (mehndi strip, mandala, floral) in order to keep us working quickly through your guests so we can get as many done as possible. If you can supply an assistant to organize the guests to keep them moving in and out of the chair that will speed things up and get more henna on more people. Close friends, family, and members of the wedding party who may want something with a little more coverage obviously take longer and special arrangements will need to be made to ensure there is time for them. Please discuss your needs with us on an individual basis.